Luminous paint is a very unique coating which effectively glows in the dark. This is very useful in a situation where we have a power cut and we have limited lighting. Most modern buildings now, for regulations, will have emergency lighting; however, to highlight walkways to give people a clear indication of how to get out of the building, the addition of glow-in-the-dark skirting boards with arrows on the walls are a welcome addition. A single pack, fast drying, flexible, hi viz fluorescent yellow paint for interior and exterior use. A high visibility paint that glows in the dark and provides an effective safety aid for marking and highlighting. Rustoleum Mathys Fluorescent Topcoats 2200 are ideal for stencils, safety markings and colour coding. Clear light reflective paint coating that illuminates when subjected to a light source. Ideal for use in areas such as stairways, doorways, changing rooms, ramps etc. The World's toughest aisle marking system, instantly applied with no fuss. How does Luminous Paint work? Luminous paint works by slowly charging up the particles in the paint during the day. Sunlight and normal office lighting will do this. However, if there is a power cut all of a sudden, the paint will luminesce or glow in the dark quite vividly for the first half hour and then, eventually, fade off around an hour or two, which is plenty of time to get out of the building. Luminous paint must be applied over a white foundation or white undercoating in order for the paint to really glow. If it's applied onto a floor, the addition of a clear, protective layer is also required. 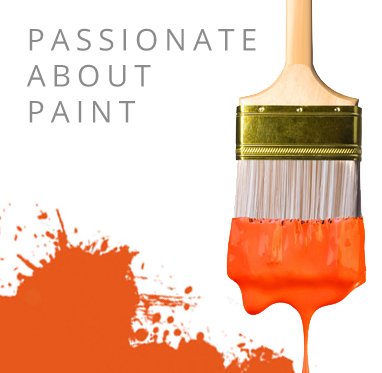 During the day, luminous paint offers a slight off-green finish, so choose where you paint carefully. If you wish to have a paint that is highly visible during the day as well, look for Promain's fluorescent coatings or additives which can reflect light back, such as the reflective glass beads we have readily available for your to buy. Luminous Paint provides the perfect solution to many health hazards and safety risks where dark environments could lead to accidents occurring. Promain have a wide range of options available, including Luminous Paint, Fluorescent Topcoats and Glow in the Dark Anti-Slip Tapes too. Contact our technical support team if you have any further questions relating to our Luminous Paint range.